Financial institutions play a central role in determining development patterns around the world and are therefore important levers for those who want to protect the planet's ecological balance. While some foundations have chosen to focus their work on individual topics - such as for example climate change, the biodiversity crisis, threats to marine ecosystems and forest ecosystems - in fact all of these crises are being fuelled by money, which is provided by national and international financial institutions. Grassroots therefore decided to dedicate an important part of its funding to NGOs who are challenging the decisions and policies of financial institutions. Since 2001, non-governmental organizations have increasingly also begun to address the role and responsibility of private banks. Grassroots has been one of the first foundations to support these efforts mainly focussing its work on French and German banks. Supported by grassroots "Les Amis de la Terre" launched the first campaign dealing with private banks. After subjecting the environmental management systems of French banks to critical scrutiny a report with the title "Environment and French Banks - almost everything still needs to be done" was published. In its wake a campaign - borne by 34 organizations - developed which became the main topic of the monthly edition of "Alternatives Economiques". As a result a dialogue could be entered into with some banks, but the two biggest banks, BNP Paribas and Societe Generale, refused to take part. Then, as a second step, the energy portfolios of French banks were examined and this resulted in the report "French banks = Fossil banks" which found wide publicity in the press. That led to some banks committing themselves to developing climate policies for their projects which would help to lower CO2 emissions. "Les Amis de la terre" then used the campaign to draw attention to specific projects such as the Sakhalin oil project, the Chad-Cameroon oil pipeline and the Belene NPP. Now BNP Paribas and Societe Generale also backed down and signed the Equator Principles and were prepared to start a dialogue with the NGOs. As a third step "Les Amis de la terre" published a booklet for consumers entitled "How to Choose Your Bank", which compares the portfolios of the big banks and makes the case for changing over to Eco- or Ethic Banks. With the help of consumer protection organizations this booklet was widely distributed. 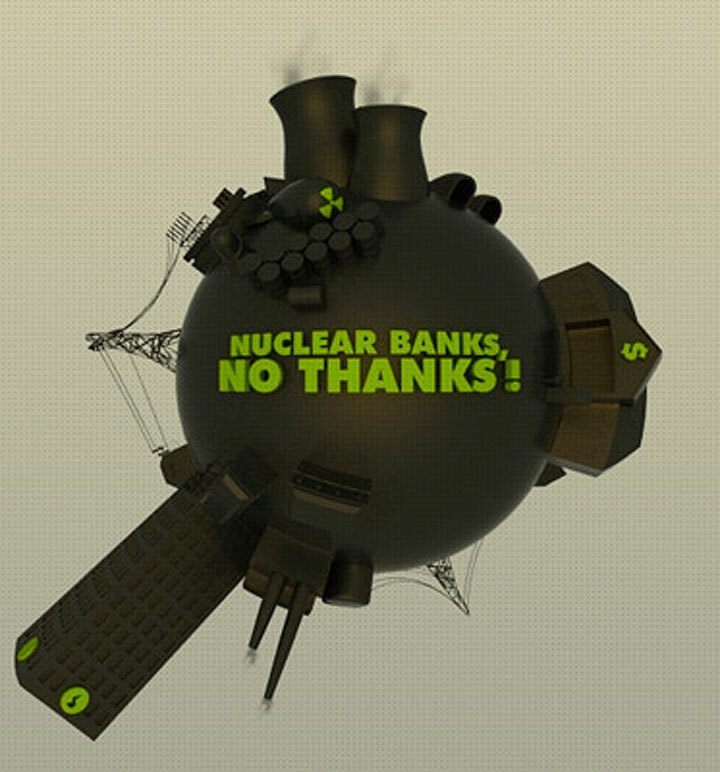 The "nuclear banks, no thanks" coalition (.www.nuclearbanks.org) inform the consumers. Within 3 years "Les Amis de la Terra" has managed to carry out an influential and innovative campaign that has made a great impact on projects and institutions. In Germany grassroots supported two campaigns by urgewald, one drawing attention to the role of banks in pulp production worldwide and the other to the Deutsche Bank in particular. One of the best examples of this approach is the "Banks, Pulp and People" Report. The report was compiled by urgewald in cooperation with local NGOs in China, Brazil, Indonesia, South Africa and other pulp producing countries. It is the first study that undertakes a global analysis of pulp projects, and issues an early warning to banks on projects which are still in the pipeline. At the same time, grassroots is supporting many local initiatives in pulp-producing countries, such as, for example, CAPPA, the Community Aliance for Pulp-Paper Advocacy, which is working to curb the expansion of the pulp industry in South Kalimantan. The study developed concrete criteria and requirements for the banks involved. It was translated by Finnish and Brasilian NGOs and discussed with banks in Germany and the USA. The webpage "Pulpmillwatch" provides the latest information concerning controversial pulp projects for banks, NGOs and journalists. Grassroots also helped to build up the Deutsche Bank campaign. The pamphlet "Deutsche Bank: a dubious trademark" shows how the bank finances dictators and warmongers and is responsible for human rights violations and destruction of the environment. In each case other financial institutions are listed that had refused their financial support for ethical reasons. The pamphlet was distributed at the shareholders meeting of the Deutsche Bank and served as a basis for two TV reports and numerous newspaper articles. In the following year Urgewald invited people who were affected by those projects to come to the shareholders meeting. But the impact of this pamphlet was such that the Commerzbank and UniCredit refrained from financing two controversial projects. 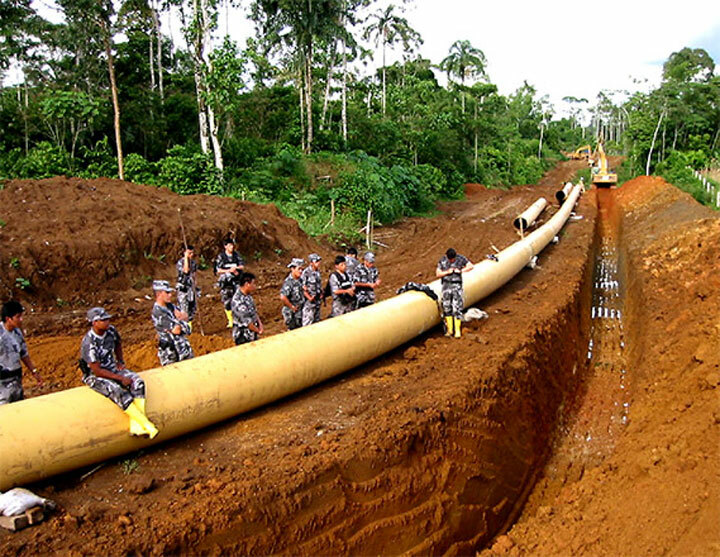 Grassroots, for example, supported a broad public campaign against the crude oil pipeline OCP in Ecuador and the German bank WestLB. supporting local resistance on the ground in Ecuador. supporting NGOs in Canada who were campaigning on EnCana, the leading oil company in the OCP-Consortium. supporting NGOs in Germany, who campaigned against the WestLB, the German bank who led the financing consortium for OCP and who had arranged the deal. The OCP-Pipeline has met with huge resistance as it transverses 11 protected areas and has opened up the last remaining indigenous territories in the Amazon for oil exploitation. This is leading to massive and violent social conflicts as indigenous communities have refused to cede their lands to the oil companies. Although the OCP campaign was ultimately not able to stop the construction of the pipeline, it nonetheless had a profound impact. The activities targeting the WestLB basically redefined the concept of reputational risk for Germany's commercial banks. The OCP-Pipeline has met with huge resistance as it will transverse 11 protected areas and open up the last remaining indigenous territories in the Amazon for oil exploitation. This is leading to massive and violent social conflicts as indigenous communities are refusing to cede their lands to the oil companies. OCP was also one of the key campaigns that led a group of 30 of the world's largest banks to adopt the "Equator Principles", a set of binding environmental and social standards for project financing. However, the experience with the OCP campaign also showed that it is hard to achieve project-related successes once private banks have signed loan agreements for a specific deal. Increasingly, Grassroots has therefore begun to support campaigns that take an early warning approach, i.e. alerting banks to controversial schemes before they have taken funding decisions. Grassroots' role in the campaign on private banks is similar to its role in the ECA campaign. We are interested in helping NGOs from North and South develop their cooperation both on specific projects and necessary policy changes. We see this as a very dynamic area, where our funding can play a crucial role. ECA Campaign Export credit agencies (ECAs) are government-owned or -backed funding and insurance agencies that have come to play an important role in the financing arrangements for large private sector energy, infrastructure and extractive industry projects in developing countries. In recent years, ECAs for example made annual commitments of over US-$500 billion, supporting about 10% of world trade. When the grassroots foundation initiated its program in 1999, most ECAs had no safeguards or standards to protect local communities and the environment. They were also extremely secretive institutions, refusing to provide information either to the public or to legislators. At the same time, many ECA-backed projects, such as giant paper and pulp mills in Indonesia, large dams and mining schemes, were causing immense harm to the environment and local communities in developing nations. ECAs also regularly financed projects that had been rejected by bilateral and multilateral aid agencies on environmental and social grounds, a leading example being the Three Gorges Dam in China. In spite of the fact that this project is forcibly displacing around 3 million people, it received export credits and guarantees from Germany, Switzerland, France, Canada, Japan and Sweden. 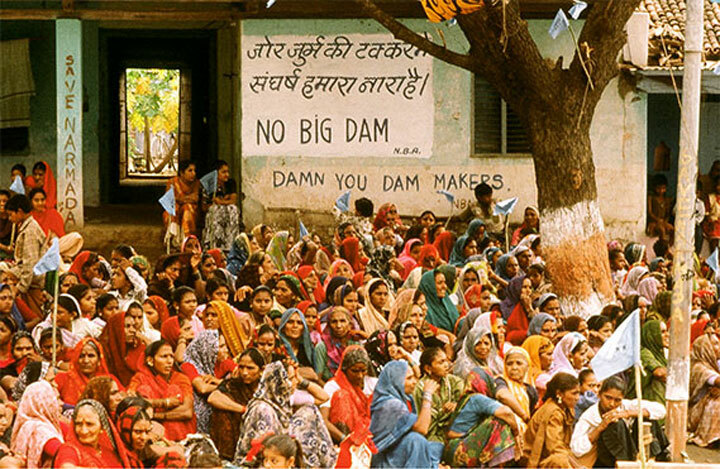 With grassroots’ support, Urgewald was able to block a Hermes guarantee for the Maheshwar dam. This project would have flooded one of central India’s most fertile agricultural regions and evicted 60,000 small farmers and fisherfolk. Over the past 8 years grassroots played a decisive role in the creation and development of ECA campaigns in several industrialized countries, including Germany, Austria, France, Canada and Australia. Moreover, these campaigns were able to achieve important successes. The environmental and social impacts of the activities of export credit agencies became a main-stream topic for national parliaments and the press. In Germany, NGO campaigns were able to stop export guarantees for especially controversial projects such as the Maheshwar dam in India or the Angra 3 nuclear power plant in Brazil. Germany’s ECA Hermes for the first time employed environmental staff and the German Bundestag developed guidelines that exclude Hermes’ support for new nuclear power plants. For many projects, Hermes now demands environmental impact assessments and it has become much more difficult for companies to push through controversial schemes. In Australia, campaigns by AidWatch resulted in a commitment by the Australian ECA, EFIC, to follow World Bank standards. In Austria a broad NGO coalition was formed with grassroots’ support and has resulted in an increased public awareness regarding the negative impacts of Austria’s ECA. In Canada, grassroots was able to provide support to the Halifax Initiative at a crucial time, so that this NGO coalition could continue its campaign and push through important reforms. The Canadian ECA, EDC, thus became the first export credit agency to establish an Ombudsman position to hear complaints by local communities, who are negatively impacted by ECA-backed projects. Our partner in France, Les Amis de la Terre, initiated a campaign on the French ECA, COFACE, which led COFACE to become more transparent and to develop guidelines for problematic sectors such as mining and large dams. Support for Southern partners within our ECA program was mostly oriented towards supporting work on individual projects. The grassroots foundation supported community-based NGOs in Brazil, India, Sudan and Indonesia working on nuclear power, dams and pulp mills and their work in turn helped to inform and feed Northern campaigns for a reform of ECAs. On the international level, grassroots’ funding enabled the first meeting between NGOs and the members of the OECD’s Export Credit Group. This was the initial spark for an NGO campaign that led the OECD to adopt the so-called “common approaches” - joint guidelines regarding ECAs and the environment - in December 2003. ECAs have thus adopted environmental screening procedures and transparency rules and are now obliged to follow several of the World Bank’s safeguard policies. Although these guidelines are still lacking, they represent a major break-through, when one considers that there were previously no environmental rules in place for ECAs. Thus with grassroots’ support, a small but effective coalition of NGOs was able to achieve a notable success against a powerful industry lobby. Although grassroots is proud of these achievements, it also recognizes the need to continue supporting NGO campaigns in this area. Just recently, in March 2007, ECAs from Germany, Austria and Switzerland for example gave export credit insurance to the infamous Ilisu Dam in Turkey, a project that will displace over 60,000 people and submerge a key cultural heritage site. This is one of many cases, where ECAs are still enabling projects that violate human rights and destroy the environment and it exemplifies the need for more stringent reforms of these agencies. 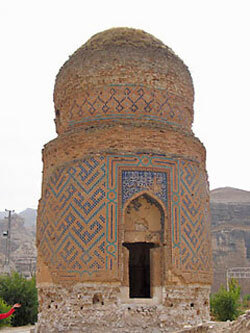 Mausoleum, ancient town of Hasankeyf. Multilateral Development Banks For almost two decades, NGOs have campaigned for a reform of the world’s most powerful development agency, the World Bank. Over time, this campaign was able to evoke important changes: the Bank pulled out of a number of problem projects, progressive environmental and social policies were put into place and the Inspection Panel was created as a means for local communities to seek recourse, if they have been harmed by Bank-funded projects. However, since the late 1990s there has been an increasing backlash against NGO campaigns. Many World Bank policies have been diluted and the Bank is increasingly moving back into the business of funding large-scale high-risk projects. Activities around the 60th birthday of the World Bank to draw public attention to the current roll-back on environmental and social standards. Support for a fact-finding mission by Japanese and German NGOs to the Omkareshwar Dam in India. The German company Siemens had put forward applications to the World Bank’s Multilateral Guarantee Agency (MIGA) and the Japanese export credit agencies to support this project. The work of our partners was able to stop both MIGA and Japanese ECAs from supporting Omkareshwar. Seed money for a campaign on the issue of compensation for local communities, who have suffered lasting harm through past World Bank projects. This was the first time that the topic of reparations was raised in the context of World Bank campaigning. A NGO campaign to challenge the European Investment Bank (EIB). The EIB makes loans in the same order of magnitude as the World Bank, but there is very little public control of the institution and it has refused to adopt up-to-date environmental and social standards. Campaign activities in Europe against the financing of the Sakhalin Oil Project in Russia through the European Bank for Reconstruction and Development (EBRD) and blockades by indigenous people on Sakhalin Island. The campaign was able to put loans in the order of US-$ 5 billion on hold and led the EBRD to withhold approval for this controversial project. "Pacific Environment and Sakhalin Environment Watch would like to again thank the Grassroots Foundation for its ongoing support for the Sakhalin II campaign. With your support, in 2006 the campaign reached new levels of achievement, including the successful blockage of over US$5 billion in external bank financing and we were able to secure long term commitments from project sponsors for measures to prevent oil spills, to protect the endangered western gray whale, to repair wild salmon runs, and compensate indigenous communities. Through our work, the Sakhalin II campaign has become an emblematic example of effective international grassroots organizing.” In 2006, our grantees Pacific Environment and Sakhalin Environment Watch jointly won the 2006 Business Ethics Network “Benny” Award. As grassroots’ funds are very limited, we have only supported very focused initiatives, that other foundations were either not able to fund (often because there was not enough lead time) or that had a special significance for Europe. As the lead time for grassroots’ grants is much shorter than for most foundations, we see one of our tasks in helping to ensure the capacity of NGOs to muster flexible responses to challenges that arise regarding the multilateral development banks. Most of the large controversial projects in developing countries are being financed by a mixture of public and private money, with private financing often conditional on project approval by public financial institutions like the World Bank or export credit agencies. Dealing with the different programs of banks is becoming more difficult for grassroots since private as well as ECAs and development banks are involved in more and more projects. To effectively confront these projects, affected communities and NGO coalitions are now obliged to wage simultaneous campaigns on many fronts. As "following the money" has become a more and more encompassing task, grassroots is dedicated to helping NGOs develop and consolidate their campaigns to be able to address all of the different financial actors involved. We therefore expanded the scope of our original "ECA Program" to also include public and private banks. The concrete experience of the past 8 years has shown that there are immense synergies to this approach as progress among one group of financial institutions inevitably helps efforts to achieve effective, high-quality standards for all financial institutions. At this point, we would like to thank all of our partners for their efforts and dedication towards ensuring that local peoples' and nature's voice are heard by financial institutions.